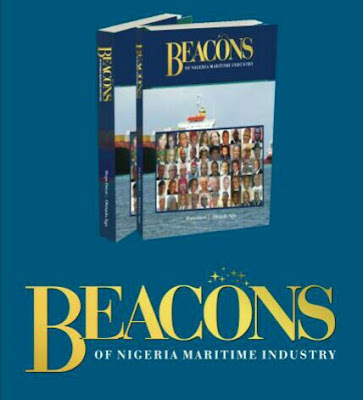 The Book is a rich collection of spectacular stories as told first-hand by some contributors to the maritime industry in Nigeria. A crew sailed to safety days after the ship suffered a gash on its bow and water entered the ship uncontrollably. The crew later shared the story of how a whale saved the situation! A woman rose up to a challenge to save the fish trawling operations, which at a time faced an emerging security challenges. She stood up to the authorities concerned, and came out with an industry agenda. The stories are diverse and inspiring; shared experiences as these men and women of valour go through life daily shaping an industry endowed with rich resources. The simple narration style makes the book enjoyable to read. The book had a public presentation on March 22, 2018.